This is a question that as a dog lover you will inevitably come across. There are pros and cons to both sides of the argument. See our list below. This list is only meant to be informative. 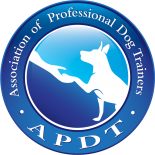 We endorse getting the right dog for you above all else, either a bred dog or a shelter dog. There is a dog out there that is going to fit in your life better than others. If you are looking for a sport dog, who will do IPO or Protection work there are certain traits that you will want in that dog VS someone who wants a family companion or house dog. We urge you to choose the dog that fits your lifestyle not the dog that you “must have”. The most common issues we see as dog trainers is people who have rescued a dog or puppy and got something they were not ready for. The dog then either ends up back in a shelter or is neglected. That’s the last thing we want to see. The same goes for people who purchase from a breeder, they might end up with a top of the line working dog and have no idea how to control or train the dog. That dog ends up being neglected or abused and might end up in a shelter as well. Neither of these situations are ideal for the dog or the owner! What do I want the dog for? Can I handle an extremely active dog? Do I have time to train 15-20 minutes a day? What will I do if I cannot handle the dog’s behaviors? Do you have the finances available to afford a dog? What will the dog’s job be? Once you have answered these questions do your research and find the breed that you will be most compatible with. The ultimate goal is for you to have a happy dog that fits into your life and family dynamic as seamlessly as possible. If you have any questions feel free to drop us a line we’re more than happy to help you find the right dog, no matter where it may be!